Whilst climbing up Table Mountain on the India Venster Route I took the photo for Striated Skies No. 21. 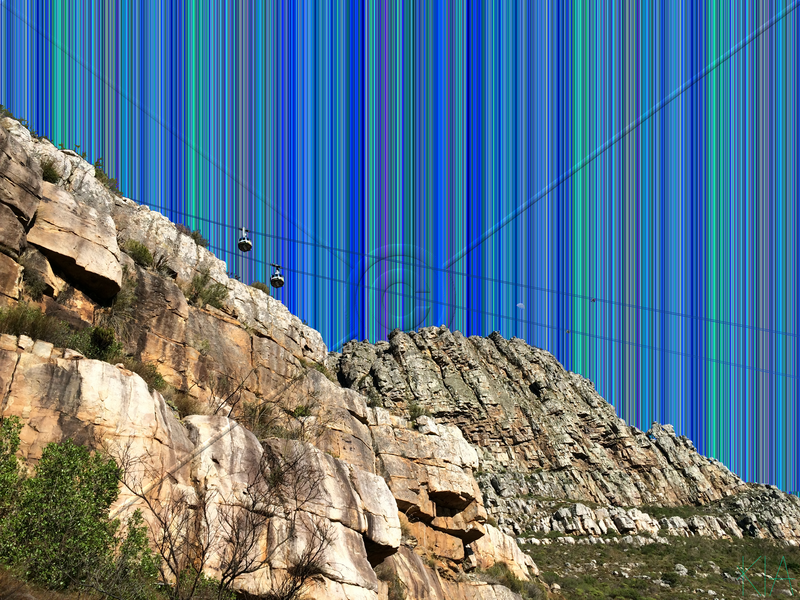 The cableway to the top of the mountain is over 85 years old and was most recently upgraded in 1997 when the round cars with revolving floors were introduced. 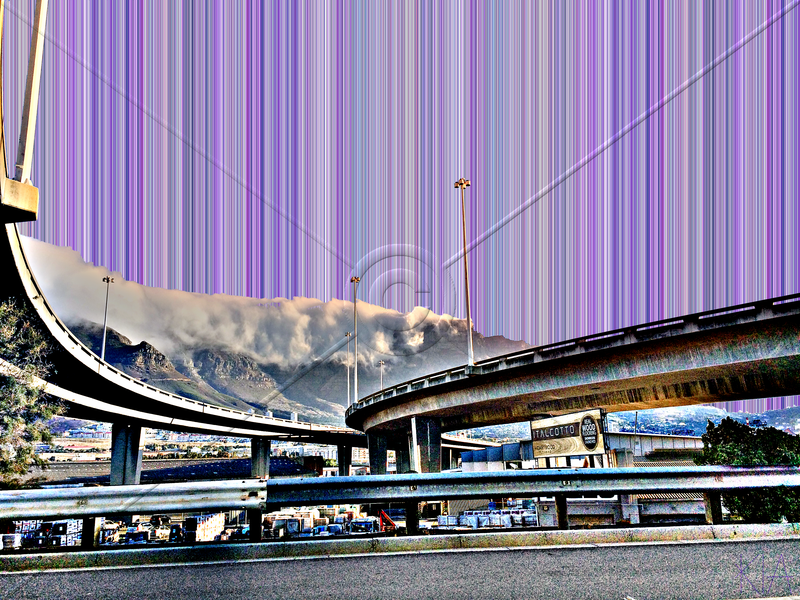 The 20th Striated Sky for 2015 is taken at the N1/N2 merge as you enter Cape Town City Bowl. The highway system in the city is a contentious issue with people rallying to have the highways removed especially given that there are incomplete portions that tower over the foreshore. The large concrete elevated highway may be seen as an eyesore but in this piece there is a beauty in the structure versus the mountain. The argument is that the highway cuts off the city from the foreshore although the large buildings right next to the highway do this. I feel that the highway needs to stay and that the city and business need to work together to make the area around and below the highway a more user friendly space…. and not a parking garage (although Cape Town does need more parking space). 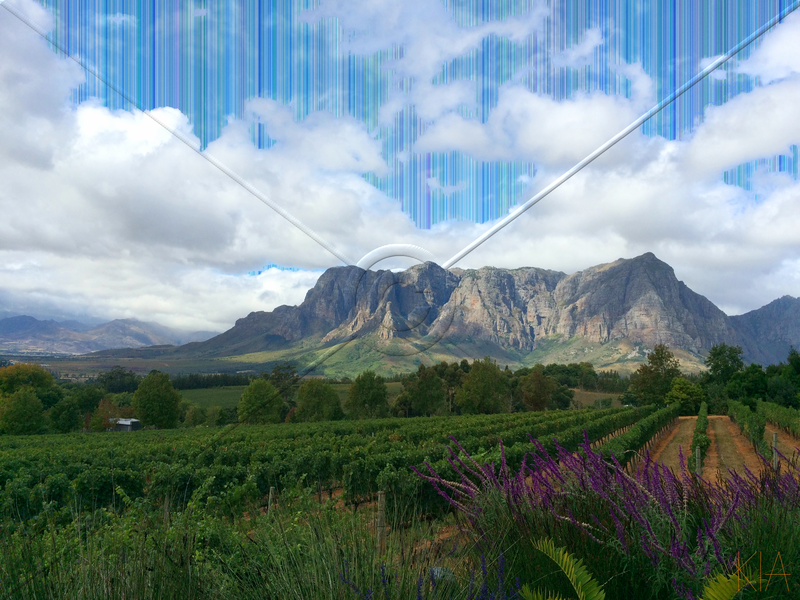 The picture inspiring this weeks Striated sky depicts the beautiful Hottentots-Hollands mountains from Delaire Graf Estate. The Estate is on the Helshoogte Road from Stellenbosch to Franschhoek. It is a stunning venue and the wine tasting that we did was spectacular… most definitely worth a visit. The picture which looks like a painting inspires the title which is Life is a Canvas. I have chosen this title as in life you are the artist and can choose the type of picture that you want to paint. Why not paint something beautiful just like the picture above! There is something that I love about construction. The cranes, the dirt and the building that rises out of the foundations. Cape Town is a city that continues to develop and Century City is one of the main development centers. 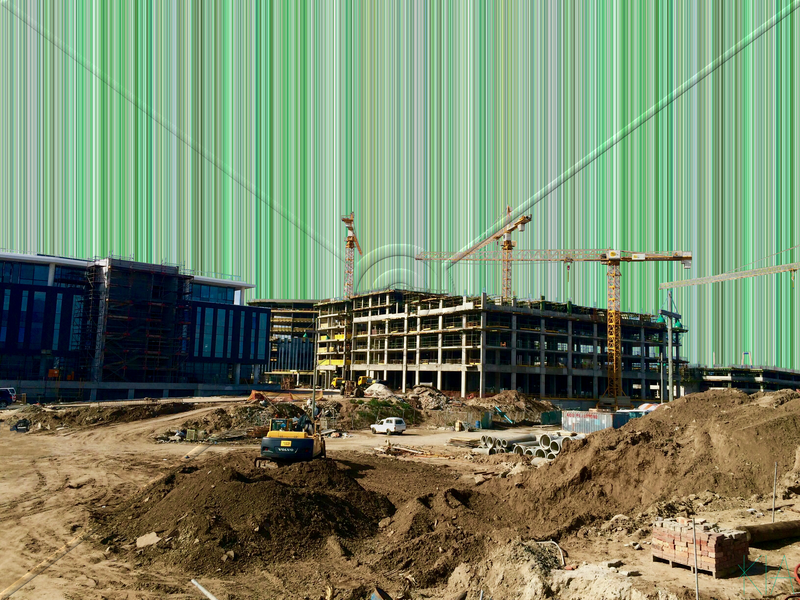 This weeks striated sky is of the Century City Urban Square development which comprises of a conference centre, offices and residential apartments. The development is worth over R1 Billion, designed by Vivid Architects and developed by Rabie. The buildings use green technologies and will give Cape Town more opportunities for business. For me this picture is absolutely beautiful.